With our vast experience in the industry, we follow the best practices and methodologies to deliver best quality Fertile Chicken Eggs. 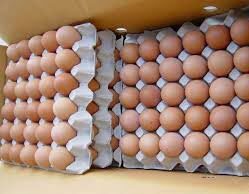 Our company is a nonpareil Supplier and Exporter of Fertile Chicken Eggs from Thailand. The Fertile Chicken Eggs offered by us are sourced form trusted vendors only. Our Fertile Chicken Eggs are are preserved in the cleanest of environments and are packed using the safest materials.